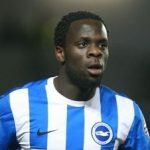 Albion striker Elvis Manu has gone out on loan to the Dutch team Go-Ahead Eagles for the remainder of the season. Manu has featured in few of Albion’s games this season although the Dutch striker was involved in League Cup and Checkatrade matches. Former Albion striker Mike Small played for Go-Ahead Eagles in the mid 1980s.